Quaint and charming home in Lumpkin Countys Yahoola Valley! 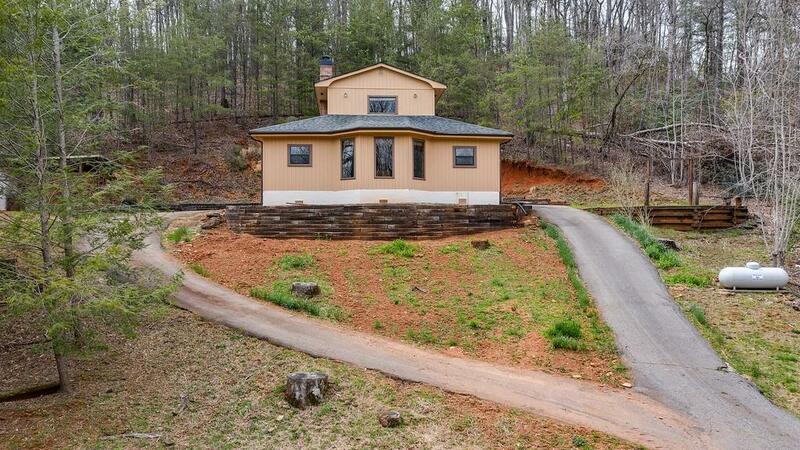 This 3BR/2BA cabin, found on 2.4+ unrestricted acres offers beautiful mountain views and countless renovations: new roof, vegetable gardens, new HV/AC and light fixtures, re-screened windows, fully redone interior paint, a circular drive,and more! Featuring original wood flooring throughout with refurbished master suite, with renovated and tiled master BR and new master closet. The open floor plan and expansive country kitchen make hosting easy! Located just minutes from Chattahoochee National Forest! Directions: From Downtown Dahlonega Take Morrison Moore North To L. On Yahoola Rd. To R. On Jack Walker Rd. Approx. 1 Mile To Sign On L.